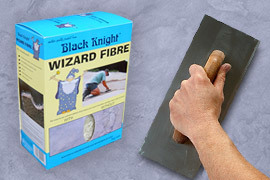 Wizard is a very fine glass fibre designed specifically for mortar or concrete reinforcement. 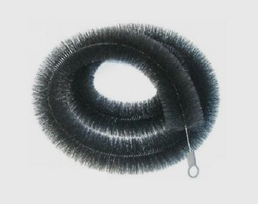 It has been in use for decades in specialised architectural and construction projects where very high performance is required to withstand sustained stresses or harsh conditions and where long service is important. Concrete ponds, if properly built, will last a lifetime and are much more durable than any other kind. 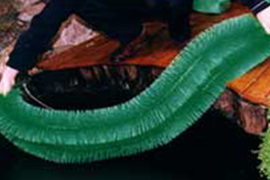 They do, however, require care in their construction if you are to reap all the benefits that this material can offer. A little knowledge of construction techniques will be useful but this is also available in the many pond-building books. When the final Wizard render has set and dried it can be painted with a proprietary pond paint (see instructions for use). The special characteristics of Wizard ensure that it disperses evenly in the mixer. 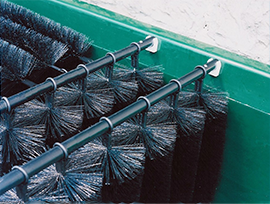 The product appears to be in flat strips but when water is added and it is subjected to the action of the mixer, all of these strips break into much finer strands. As these are so fine they do not present any kind of hazard if some of them are protruding from the final finish and therefore they do not require any further attention. A well constructed pond with a Wizard Fibre render and a good quality pond paint could last a lifetime.